"The Vampire Diaries" continues to add to its cast of characters for Season 4. 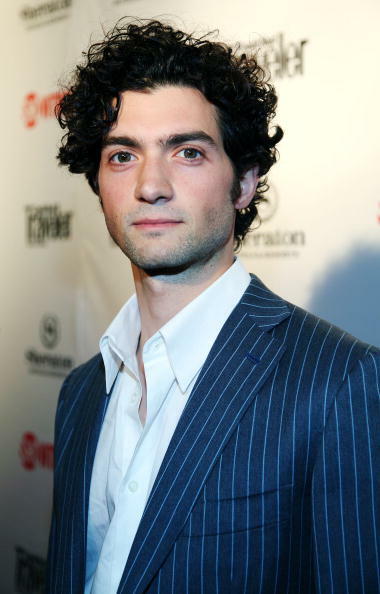 David Alpay, who is best known for his work on "The Borgais" and "The Tudors," is set to play a college professor who has a particular interest in the supernatural. As we shared last month, Professor Shane will share a particular connection with Bonnie when he first arrives in the fourth episode. TVGuide reveals that he knows her through her family, so we're hoping his introduction will open us up to a little more of Bonnie's background and family history. No word yet on whether he'll be a love interest for any of the characters, but hey, look at that face. We'd be interested. Of course, Shane's not your usual college professor. In Season 2, when Damon, Alaric, and Elena visited Isobel's offices at Duke University, we learned that Isobel had been doing some serious research on vampires as part of her studies. Let's just say that Shane has a lot in common with Elena's departed bio-mom. Alpay will recur this season. His storyline will introduce us to the local university, which will help ease the show's transition into the post-high-school world after most of our favorites graduate in the spring.